Tickets: £10. A Chinese Society Members' price of £8 is available at Box Office only. A Chinese Society Members’ price of £8 is available at the Box Office only. Please call 024 7652 4524 or visit the Box Office counter to book. Chinese New Year is the biggest festival of the year celebrated internationally. 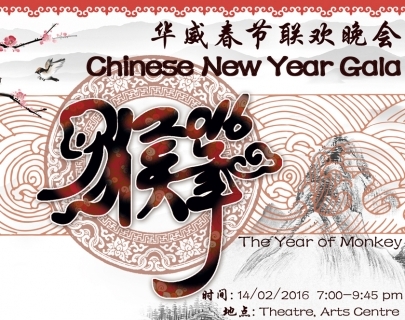 In this special gathering day of celebration for the lunar new year coming, we invite you to join in our New Year Gala. You can embrace Chinese culture, enjoy the excellent traditional performances of all kinds of dancing, singing, drama, fashion show, magic and martial arts, etc. We offer you free Chinese New Year gifts such as lucky bags, fortune cookies, and Chinese style accessories. Before the event begins, you can also have a free try on the ancient Chinese costumes, writing calligraphy, and playing with lanterns outside the theatre. 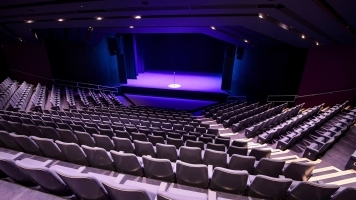 This section will be held all day in the Arts Centre. Welcome any time! Don’t hesitate and book your ticket! Let’s have a fantastic Chinese New Year celebration!